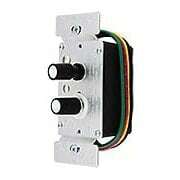 Replace old or faulty push button switches with an authentically reproduced antique push button light switch. Features mother-of-pearl inlay and complies with all modern safety standards. Works with new or existing home wiring for easy installation. A House of Antique Hardware exclusive! 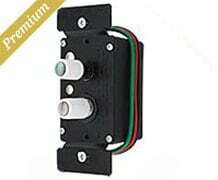 Our Premium 3-Way Push Button Light Switch is the most authentic you'll find anywhere. Faithfully reproduced from antique originals, it features larger, matte-black buttons and genuine mother-of-pearl inlay. This iridescent shell shimmers as it reflects light, adding a touch of subtle elegance. The internal components have been painstakingly engineered for smooth operation, while retaining the classic "snap" sound and action. Built to modern safety standards (UL & CUL listed), it is the switch of choice for any period restoration. A House of Antique Hardware exclusive! Our Premium 4-Way Push Button Light Switch is the most authentic you'll find anywhere. Faithfully reproduced from antique originals, it features larger, matte black buttons and genuine mother-of-pearl inlay. This iridescent shell shimmers as it reflects light, adding a touch of subtle elegance. The internal components have been painstakingly engineered for smooth operation, while retaining the classic "snap" sound and action. Built to modern safety standards (UL & CUL listed), it is the switch of choice for any period restoration. A House of Antique Hardware exclusive! Our Premium White Push-Button Light Switch is the most authentic you'll find anywhere. Faithfully reproduced from antique originals, it features larger, white buttons and genuine mother-of-pearl inlay. This iridescent shell shimmers as it reflects light, adding a touch of subtle elegance. The internal components have been painstakingly engineered for smooth operation, while retaining the classic "snap" sound and action. Built to modern safety standards (UL & CUL listed), it is the switch of choice for any period restoration. A House of Antique Hardware exclusive! Our Premium White Push-Button Light Switch with True Mother-of-Pearl Buttons is the most authentic you'll find anywhere. Faithfully reproduced from antique originals, it feature larger, white buttons and genuine mother-of-pearl inlays. This iridescent shell shimmers as it reflects light, adding a touch of subtle elegance. The internal components have been painstakingly engineered for smooth operation, while retaining the classic "snap" sound and action. Built to modern safety standards (UL & CUL listed), it is the switch of choice for any period restoration. A House of Antique Hardware exclusive! Our Premium 3-Way White Push Button Light Switch is the most authentic you'll find anywhere. Faithfully reproduced from antique originals, it features larger, white buttons and genuine mother-of-pearl inlay. This iridescent shell shimmers as it reflects light, adding a touch of subtle elegance. The internal components have been painstakingly engineered for smooth operation, while retaining the classic "snap" sound and action. Built to modern safety standards (UL & CUL listed), it is the switch of choice for any period restoration. A House of Antique Hardware exclusive! Our Premium 4-Way White Push Button Light Switch is the most authentic you'll find anywhere. Faithfully reproduced from antique originals, it features larger, white buttons and genuine mother-of-pearl inlay. This iridescent shell shimmers as it reflects light, adding a touch of subtle elegance. The internal components have been painstakingly engineered for smooth operation, while retaining the classic "snap" sound and action. Built to modern safety standards (UL & CUL listed), it is the switch of choice for any period restoration. A House of Antique Hardware exclusive! Our Single-Pole White Push Button Universal Dimmer Switch offers modern dimmer technology in an authentic, vintage-style package. Simply push the smooth button to switch on/off, and rotate the fluted button to increase or decrease the light level. Each button features a true mother-of-pearl inlay, an iridescent shell that shimmers as it reflects light for a touch of elegance. 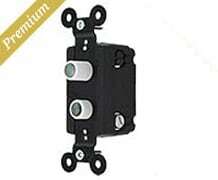 It is the perfect companion to our own premium push button switches. Built to modern safety standards (UL & CUL listed), it is the dimmer of choice for any period restoration. A House of Antique Hardware exclusive! Our Premium 3-Way White Push Button Universal Dimmer Switch offers modern dimmer technology in an authentic, vintage-style package. Simply push the smooth button to switch on/off, and rotate the fluted button to increase or decrease the light level. Each button features a true mother-of-pearl inlay, an iridescent shell that shimmers as it reflects light for a touch of elegance. 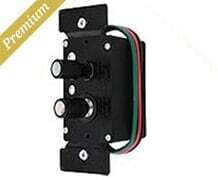 It is the perfect companion to our own premium push button switches. Built to modern safety standards (UL & CUL listed), it is the dimmer of choice for any period restoration. A House of Antique Hardware exclusive! Our Premium 3-Way Push Button Universal Dimmer Switch offers modern dimmer technology in an authentic, vintage-style package. Simply push the smooth button to switch on/off, and rotate the fluted button to increase or decrease the light level. Each button features a true mother-of-pearl inlay, an iridescent shell that shimmers as it reflects light for a touch of elegance. It is the perfect companion to our own premium push button switches. Built to modern safety standards (UL & CUL listed), it is the dimmer of choice for any period restoration. Our standard push button switch will operate one or more fixtures from a single location. Based on early twentieth century models, it features a white mother-of-pearl ON button and makes a resounding "click" when pressed. All of our switches are built to modern safety standards (UL and CUL listed), and suitable for restoration or new construction alike. Our standard push button switch will operate one or more fixtures from a single location. Based on early twentieth century models, it features white mother-of-pearl buttons and makes a resounding "click" when pressed. All of our switches are built to modern safety standards (UL and CUL listed), and suitable for restoration or new construction alike. Our 3-way push button light switch will operate one fixture from two stations (such as both ends of a hall). Based on early twentieth century models, it features white mother-of-pearl buttons and makes a resounding "click" when pressed. All of our switches are built to modern safety standards (UL and CUL listed), and suitable for restoration or new construction alike. Our 4-way push button light switch is installed between two 3-way switches when a fixture is operated from three locations. Based on early twentieth century models, it features white mother-of-pearl buttons and makes a resounding "click" when pressed. All of our switches are built to modern safety standards (UL and CUL listed), and suitable for restoration or new construction alike. Our standard push button dimmer switch adjusts the light level of one or more fixtures from a single location. One button operates the fixture, while the other adjusts the light level. Patterned after early 20th century designs, it is the perfect companion to our own standard push button switches. All of our dimmers are built to modern safety standards (UL and CUL listed), and suitable for restoration or new construction alike. 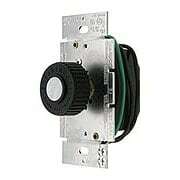 Our standard 3-way push-button dimmer switch adjusts the light level of one or more fixtures operated from two locations. One button operates the fixture, while the other adjusts the light level. Patterned after early 20th century designs, it's the perfect companion to our own standard push-button switches. All of our dimmers are built to modern safety standards (UL and CUL listed), and suitable for restoration or new construction alike. This dimmer can be installed with the dimmer button in the top or bottom position. 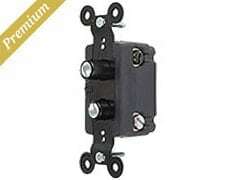 The 300-watt version is suitable for smaller fixtures or chandeliers with low wattage bulbs. The 600-watt version is suitable for larger fixtures or chandeliers with high wattage bulbs. This classic rotary incandescent dimmer features our vintage style "Illuminator" knob. Designed to compliment push button light switches, the knob is made of heavy-duty black resin measuring 1 7/16" diameter and features a luminous mother-of-pearl inlay (the pearl does not actually light up). 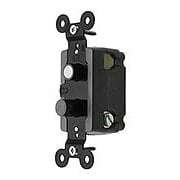 The push on/off Lutron switch is rated for 600 Watts, UL Listed and CSA certified. This 3-Way rotary incandescent dimmer features our vintage style "Illuminator" knob. Designed to compliment push button light switches, the knob is made of heavy-duty black resin measuring 1 7/16" diameter and features a luminous mother-of-pearl inlay (the pearl does not actually light up). The Lutron switch is rated for 600 Watts, UL Listed and CSA certified. 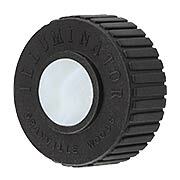 Inspired by early 20th century rotary knobs, the "Illuminator" adds vintage style to any room. A perfect compliment to our push button light switches, it's made of heavy-duty black resin and features a luminous mother-of-pearl inlay (the pearl does not actually light up). Designed specifically for use with Lutron brand rotary dimmers. Measures 1 7/16" diameter.